Jan Carey is the CEO of the Infant Nutrition Council and was previously the Executive Director of both IFMAA and NZIFMA for the past 2 years, prior to their amalgamation. She is the industry representative on the Ministry of Health’s Compliance Panel in New Zealand. In 2013 Jan was appointed to the Executive of the Governing Board for the International Special Dietary Food Industries Association (ISDI). ISDI is based in Brussels, represents the industry globally at Codex, World Health Assembly meetings and WHO Executive Board meetings. Prior to her appointment Jan was responsible for driving the work of SIDS and Kids, Australia. She was influential in expanding the SIDS organisations’ research and family services both nationally and internationally into the perinatal area to include stillbirth and neonatal death. Jan was Chair of SIDS and Kids Scientific Advisory Committee, a member of the Global Strategy Task Force for education and SIDS and Kids’ representative on SIDS International from 2001. She was also an Executive Board member of the International Stillbirth Alliance from 2004 to 2007 and is a cofounder of the Australian and New Zealand Stillbirth Alliance (ANZSA). Jan has presented papers on a number of issues including Indigenous infant mortality, the importance of peer support, safe sleeping for infants and strategies to reduce stillbirth to scientific and other forums including SIDS International, the European Society for the Study and Prevention of Infant Death, the International Stillbirth Alliance and the Perinatal Society of Australia and New Zealand. 2006 – SIDS and Kids Award for outstanding contribution in driving the advocacy strategy to reduce perinatal, infant and young child mortality. Carole is the Principal Regulatory Advsior of the Infant Nutrition Council and also the Consultant Principal Policy Advisor to the New Zealand Food and Grocery Council. Carole has over 25 years experience in government policy, strategy and legal areas in both Australia (in the primary industries/agriculture portfolios) and New Zealand (in the agriculture, health and food portfolios). 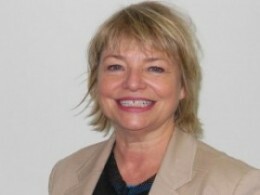 Carole’s previous positions include:Consultant Technical Expert, Food Policy with the Abu Dhabi Food Control Authority; Director, Policy Group with the New Zealand Food Safety Authority; and various positions with the New Zealand Ministry of Agriculture and Forestry (MAF) and Ministry of Health (MoH). 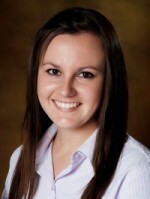 Emma commenced as the Executive Assistant with the Infant Nutrition Council in April, 2014. Emma has considerable administration experience with not-for-profit organisations and in the Public Service. She completed a traineeship, and gained a Certificate IV in Business. At the end of Emma’s traineeship, she was awarded ACT Trainee of the year. She has also studied event management, project management and human resources. After returning from maternity leave in late 2018, Emma was promoted to Executive Officer.